Benjamin Drew Griffin surveys the superhero comics’ summer landscape and the reboots and rebirths that have just begun. More after the jump. I’m not going to pretend I’m a huge DC fan. Aside from the movies (well, recently, only the TV shows) and Batman (does he count? Everyone loves Batman), I’ve only ever really marginally paid attention to the house of Superman. As a lifelong nerd, however, this still means I’ve kept up with their general goings on (thanks Wizard/internet) and did my best to get into the New 52 (really, only Batman worked for me – surprise). So, when they decided to shake things up again, I knew I wanted to at least try it out. Even after being horrified by the rambling half-attempt at an event series that was Convergence, all signs pointed towards the positive with DC golden boy Geoff Johns at the helm. A relentless cheerleader for the original optimism of DC heroism, Johns has been a very vocal opponent against the grim-dark of the New 52/Snyderverse and boy does it show with Rebirth. The entire issue revolves around Wally West, once and future Flash, attempting to return to the universe he once knew. The only thing holding him together while lost in the Speedforce? Relationships. Yes, Johns hammers this point again and again – everything in the New 52 is broken because all the tried and true relationships built over the years were shattered. Johns wants to restart the DCU and the way he’s going to do it is by bringing everyone back to fight together. And, as a cherry on top of his obviously spiteful cake, he even adds a throw-away panel where Pandora, the figure responsible for the New 52, is completely annihilated. Tell us how you feel, Geoff, just let it out. But, as many of you know by now, the most interesting element to this whole reboot is the first ever inclusion of the Watchman characters in the DC prime universe. Arguably the book that ended up accidentally responsible for the grim-dark trajectory in the first place, The Watchmen provides Johns with the perfect counterbalance with which to explore what he believes makes the DC pantheon admirable, awe inspiring, and heroic. I might not pick up many books (especially Superman – that’s a LOT of wrinkles to iron out post-New 52, geeze! 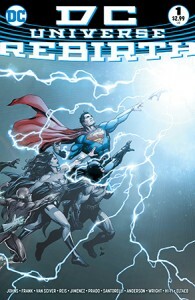 ), but I am extremely excited to see what the philosophical debate will be like between Doctor Manhattan and Superman. It is known: Scott Snyder had an absolutely perfect run on Batman. Sure, “Zero Year” might have stumbled a bit but, in terms of the world building around Batman and Gotham’s relationship, his time with the Caped Crusader was an all-time great from the first arc on. Although he’s continuing with a different Batman title in the next month (All-Star Batman), he’s passing on the torch to Tom King by co-writing the first Batman of the brand new DC Universe. Although it might be a tall order to fill, I’m pretty sure King will be up for the challenge as he’s proven remarkably well with his extraordinary take on the Vision over at Marvel. In fact, if this iteration of Calendar Man is any indication, it will be just as beautifully unnerving as the Vision and, for this alone, I’m ready to see what King has in store. 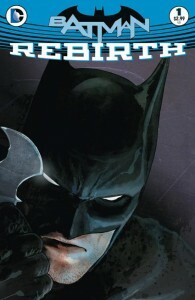 Seemingly a ‘Rebirth’ only in name (thus far), this story picks up pretty seamlessly from the fall out found at the end of Snyder’s run with Mr. Bloom and brings in one of the Robins (not the actual Robins, the ‘unofficial’ vigilante group the New 52 introduced), Duke Thomas, into Batman’s fold. But, unlike the previous and directly chosen Robins, Thomas won’t be a ward, he’ll be – an employee? Not really sure, actually – he doesn’t even have a new code name yet, only an ugly new yellow suit. But, despite my hesitance with the design, the art work of the book itself is gorgeous. Mikel Janin does an admirable job picking up after the incomparable Greg Capullo, continuing the tradition of unnerving villain presentations (did I mention Calendar Man was creepy as hell this time around?). All of that said, however, not much really happens – we meet this new iteration of an old villain and see that Batman has a new partner of sorts. What they’ll look like as a team moving forward is yet to be seen but, with King on board, I am excited to see where it leads! While DC is looking forward, revamping their entire universe, Marvel is taking a moment to look back – or, really, maybe just capitalize on a current hit movie. Either way, who cares? – summer Marvel event!! 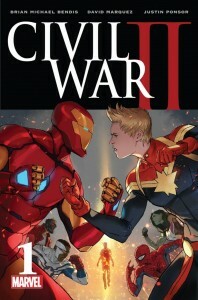 Unlike the previous Civil War, which saw heroes divide over the issue of government registration, the sequel will focus around whether our heroes should utilize an Inhuman, who can see the future in order to protect the earth. It’s been said before, but it’s really true – this is basically Minority Report writ super-hero-size large. Right off the bat, you’ll notice that Marvel continues their tradition of utilizing the absolute best artists for their events, this time with David Marquez. Clear, lusciously detailed, and with action that you immediately want to frame, the art work is absolutely stunning. The writing, by Marvel darling Brian Michael Bendis, is as fun as his work ever is – even if the story is just ok.
Maybe it’s because I don’t feel as invested (or clear) as to the relationships of this post-Secret Wars Marvel or maybe because it comes out swinging so hard, but I’m not really getting a proper sense of the weight. 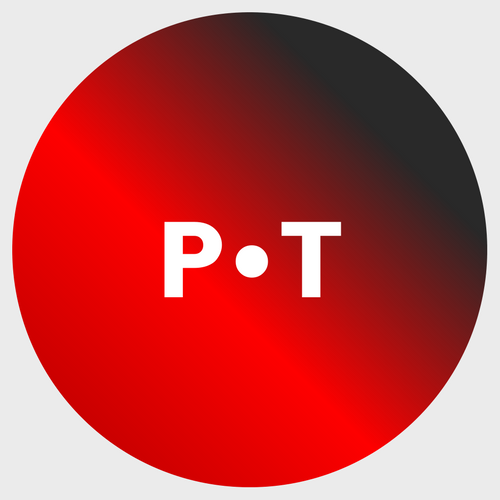 But the seed is there – the stakes are high with two very prominent causalities right off the bat and the power at hand is truly dangerous, if taken lightly. The moral conundrum has some interesting places to go, and it will be fun to see where everyone falls in the battle, but, as an introductory story, it’s more marginally intriguing than monumentally essential. Full disclosure, however, it is my opinion that Hickman set the bar insanely high with Secret Wars. Your mileage may vary.